Please welcome historical author Heather Webb to the lecture hall today, to share some inspiration on why some rejection, is actually good.And who can't use a little inspiration where that's concerned? 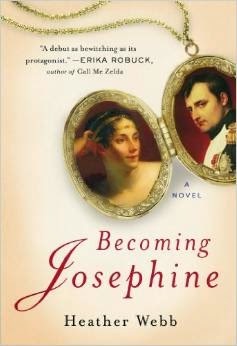 Heather is the acclaimed author of historical novels BECOMING JOSEPHINE and RODIN’S LOVER, published by Penguin. Her novels have been translated to three languages and have been featured in the Wall Street Journal, The Huffington Post, Cosmopolitan, France Magazine, All You magazine, Dish Magazine, the Hartford Courant, the Houston Chronicle, Washington Independent Review of Books, The Portland Book Review, and more. Her anthology, A FALL OF POPPIES, centers on WWI’s Armistice Day and will release from HarperCollins in 2016 featuring eight other authors. 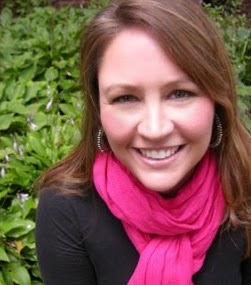 As a freelance editor, she enjoys sharing writing advice at award-winning writing sites WriterUnboxed.com and RomanceUniversity.org. She may often be found Twittering or at a local college where she teaches craft courses. When not writing, she feeds her cookbook addiction, geeks out on history and pop culture, and looks for excuses to head to the other side of the world. The most detested word in the publishing industry, perhaps even in the English language (we writers might argue) is rejection. Even saying it aloud gives you a nasty swirling in your stomach. Whether it be from agents and editors, or readers and reviewers, the word itself embodies our deepest darkest fear—we aren’t good enough. When the “R’s” begin to pile up, we sink into the sludge that mires us deeper in our fears and that horrible message becomes louder, crippling us. As I’m working on book three, this fear of the dreaded “R” sits on my chest like a fat cat—even after two contracted books at a large publisher. Even with the overwhelming good fortune of having a network of writer friends I’m proud and blessed to call my tribe. I’m pushing the envelope, you see. In my first novel I mashed up historical fiction, women’s fiction, and romance. My second, I skipped ahead to another era and fell in love with a lesser known artist figure and her struggles with madness. Now, I’m taking on a well-known story and turning it on its head. No biographical route for me this time. But WHY I ask myself? Why must I stick my neck out, push my craft to the point of almost physical pain. Why must I risk my publisher saying “no thank you” to this next book, and the one after that. I can’t avoid the challenge, the tugging in my soul that pushes me to grow—in spite of the quaking in my knees. Reach higher, my heart says. Create better, it begs. INSPIRE MORE. Yet I don’t know if I will succeed and this terrifies me. I know many of you know what I’m talking about. You struggle as I do to get a hold of this nasty thing called fear. So what does one do? Work on the exercises that bring you to a deeper, centered you. For me, that’s running or biking until the jitters are gone and you can breathe again. Whether it be meditation or exercise, or sketching or journaling, every writer needs a way to disconnect from the voices in your head. Plus you get the added bonus of all that meditative activity adding years to your life. In the grand scheme of life, how does this risk rate? Is it life-threatening, or life-altering? Will it obliterate your reputation or your self-worth? Will it destroy important relationships around you? If the answer is no to these questions, POWER ON. Take the risk and don’t look back. If it’s yes, it’s time to evaluate that risk. Weigh the pros and cons and remember—regrets will follow you your entire life. My friends are my lifeline—both my writer buddies and my “real life” friends who understand nothing about the pressures in publishing. Sometimes you need both to balance you out, to remind you of all you have accomplished. To remind you of the simple goodness that is you. What is life without taking chances? A safe, boring affair that passes you by in a cloud of regret. Get a hold of your fear by the throat. REJECT HOW IT RULES YOUR LIFE, YOUR DECISIONS. Embrace the thrill of being bold, of striking out, and of being the best version of yourself—your best writer self. I’m trying like a mad dog. I hope you are, too. I leave you with a beautiful poem by Emily Dickinson. It’s called HOPE. There is always HOPE and ADVENTURE when taking a risk. Don’t let the fear ruin all that beauty. I, for one, am choosing to banish it. Have you ever branched out, far from the core safety of your tree to write something edgy or different? How did you tackle your fears? Thanks, Julie. I hope you wrote like the wind today! My pleasure! I love Emily Dickinson and this poem just nails it. :) Happy writing! One thing I always keep in mind is that if my work is not being rejected, I'm not working enough. Not that ALL of my work will be rejected, but if I write and send it out, I will get rejections. I sometimes write for magazines. If I'm not getting rejection letters from magazines, I'm not sending out enough articles. I don't know if this makes sense. But it's like something Linus Pauling said. The best way to get a good idea is to get a lot of ideas. There's also science now showing that the best way to get a lot of good ideas is to get a lot of bad ideas. The best way to get accepted is to send out so much work that you get a lot of rejections. I will love to write a book even if it gets rejected.